Energy is the ability to move stuff. Using demo equipment - help students understand the basic difference between potential (stored) energy and kinetic (object moving) energy. Next have the students write the classified list in their notes. Then have the students write down the list of energy and associated definitions. Use both the slinky and two small balls to describe light. Energy: the ability to do move stuff. As a class - we classified the above descriptions as either potential or kinetic energy as an activity, and then discussed & demoed each one of them. Electrical Energy: the flow of electrons through wiring or other materials. Chemical Potential Energy: energy stored in the fuels before reaction. During a chemical reaction, atomic bonds break, which release the chemical energy. That energy is then converted into other forms of energy. Heat: the motion of the whole atom or molecule. Nuclear Potential Energy: This energy is stored in the nucleus of an atom. When the nucleus breaks apart - it releases a ton of heat and light energy, and depending on how it's used - other forms of energy. Light: electromagnetic radiation via waves. Examples of light: Radio, Microwave, Infra-red, Visible light (which includes, Red, Orange, Yellow, Green, Blue, Indigo, Violet), Ultra-Violet, X-ray, Gamma. Elastic: the energy stored in the bending or distortion of an object before it fully rebounds. Sound: Energy in the form of a wave that travels through materials. Energy cannot be destroyed or created - but it can be converted into other forms of energy. Energy usually goes from a potential energy to a kinetic energy. Sometimes it's repeatedly cycled. Click on the photo above to experiment with a pendulum. Notice the oscillation between potential and kinetic energy as the pendulum swings. 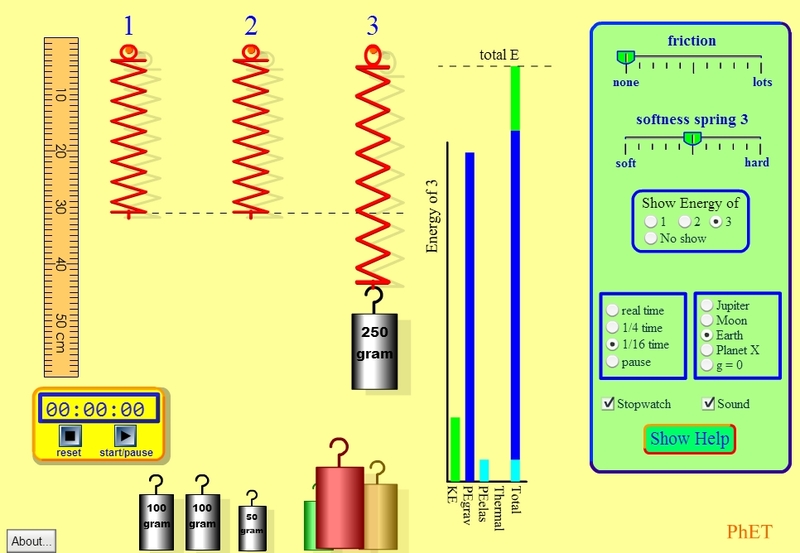 Click on this image to experiment with the different levels of energy in spring pendulums. 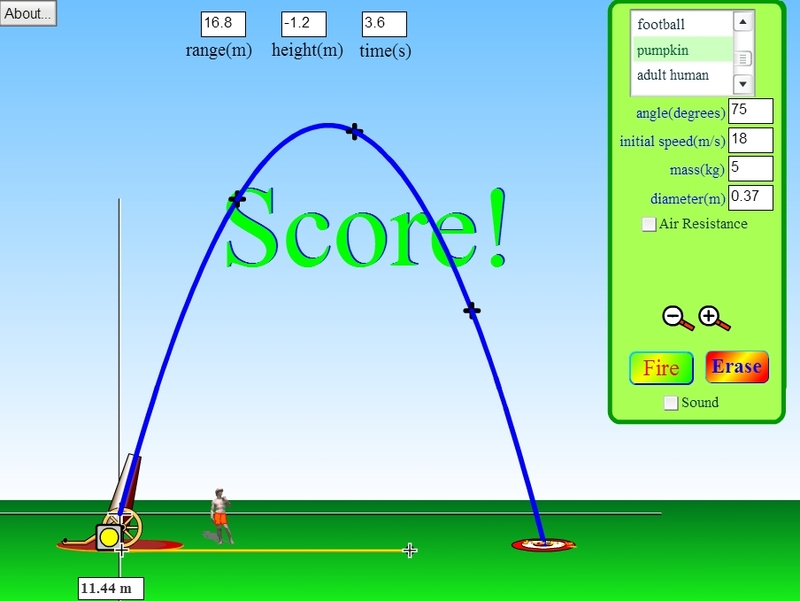 In this simulation - notice the speed of the ball as it increases its height, then notice the speed as it descends back down. Click on this image to experiment with the energy associated with a skater on a skateboard. Watch as the ball builds up elastic potential energy before it bounces back up.